Halifax and the agricultural, timber and coal producing areas of northern Nova Scotia and the Annapolis Valley. Construction was started in 1826 by the Shubenacadie Canal Co., which went bankrupt in 1831. Construction started again in 1854 under the Inland Navigation Company. The new company altered the original British stonework lock designs to use more inexpensive North American stone and wooden construction, including an inclined plane from Dartmouth Cove to Sullivan’s pond, powered by a Flume House. Steamboats and barges began to use the canal in 1856 and the entire system was completed by 1861. However the canal company showed little profit, experienced many problems and ended operations for the last time in 1871. Speaker Syd Dumaresq is a passionate sailor who supports his habit by practicing Architecture in Halifax and Chester. Syd is a fourth generation Architect, who is delighted to be practicing Architecture with his son, Dean, and John Carmichael, grandson of the late Frank Harrington, architect. Syd’s passions are community and history. Syd is Chair of the Friends of Nature and a board member of the Mahone Islands Conservation Association (MICA) and Victoria Hall. Syd and his wife Sandy live in Chester and are the proud parents of five children and six grandchildren. 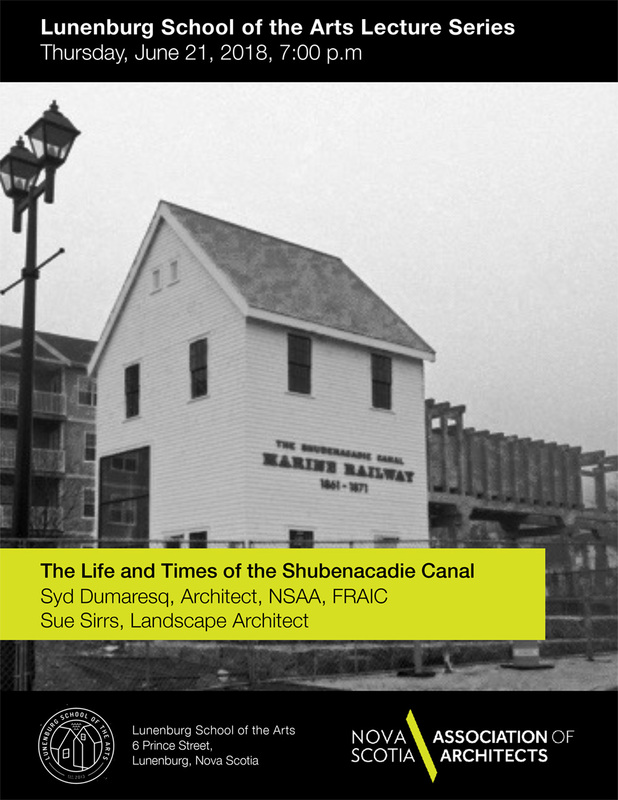 Speaker Sue Sirrs is Principal Landscape Architect at Outside! Landscape Architecture Studio. Sue is a year-round athlete and avid traveler and her projects reflect her sense of adventure and love of the outdoors. Sue blends innovative design ideas, landscape architecture and environmental planning skills to create bold, dynamic spaces that enhance the world around her.